Tony Momrelle is set to support Earth, Wind & Fire this summer in London, Bournemouth and Liverpool. For a man who never really set his sights on the music industry Tony Momrelle is one of the Uk’s hottest names on the British soul scene. Not only is he one of the most significant and exciting soulful singer songwriters in the country he is respected for working with only the best in the business. 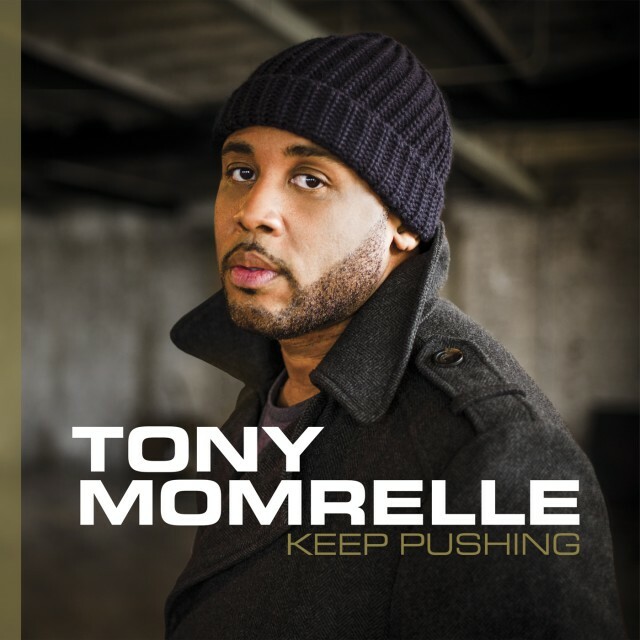 Toured and recorded with Sade, Fronted Incognito, and now Tony Momrelle goes solo. He released his second single ‘This Could Be Us’ from his second album ‘Keep Pushing’ in February and will be topping that with a another great track during the summer. Tony’s upbringing was infused with music and entertainment. At the age of eight he began to learn music and it wasn’t long before he embraced gospel through joining the church youth choir. He was intrigued by different genres, musical styles, vocal tones and textures. Gospel, Jazz and soul influences have allowed him to evolve into a naturally gifted vocalist who was soon to be in demand. featured on tracks by amazing artists such as Whitney Houston, Sir Elton John, Gary Barlow, Celine Dion and Sade whom he has had a long standing relationship with since 2001. Tony is an integral member of Sade’s band and featured heavily on her last album “Soldier of Love”. As well as co-writing a song on her album”The Ultimate Collection” he sang a duet “Baby Father” which was Grammy™ nominated for Best Duet. One also mustn’t forget Tony’s long successful relationship with British Soul funk band Incognito. His stunning vocals impressed Jean-Paul ‘Bluey’ Maunick so much that he invited him to record on their 2002 album ‘Life Stranger than Fiction’ as well as joining them on tour. Tony continues his relationship with the band now supporting them on tour. Currently Tony is fully focused on his own music. 2016 is really exciting time with a second single planned for the summer. ‘This Could Be Us’ was play listed at Radio 2 and as well as the support slot for Earth Wind & Fire he is booked to play Cheltenham Jazz Festival at the end of April. ‘Making this record has been a journey of the soul. I wanted to have a record that people would connect with but more importantly a record that would uplift and encourage people. For this reason I entitled it Keep Pushing. The message being to keep moving forward despite what issues or troubles we may have in our lives’.